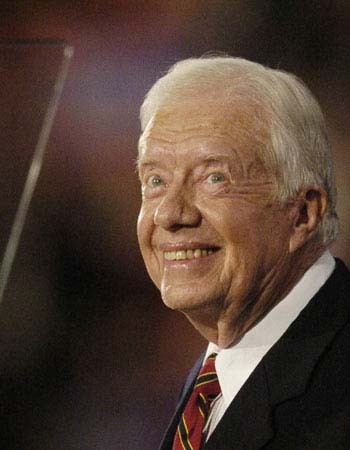 Former Presidnet Jimmy Carter cheered the Fatah-Hamas terror unification agreement this week. He says it will bring peace. Former US president Jimmy Carter wrote an article Wednesday telling Washington and the international community to support the Palestninian unity government. In a Washington Post article, Carter wrote that “if the United States and the international community support this effort, they can help Palestinian democracy and establish the basis for a unified Palestinian state in the West Bank and Gaza that can make a secure peace with Israel.” However, “if they remain aloof or undermine the agreement,” it may lead to more violence against Israel.